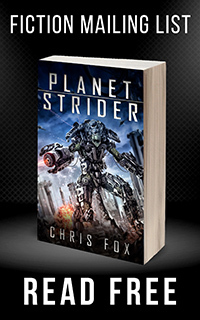 Odds are good if you like my books you’re familiar with the Predator franchise. If you’re not, I highly recommend checking out Predator, Predator 2 and Predators. The first two movies are dated, but still a fun watch watch. Predators is more recent, and just as awesome in it’s own away. I bring up Predator, because Predator Dark Ages was just released. This twenty-seven minute free movie has incredible production value, and some great characters. Those familiar with the franchise know that Predators have visited earth many times throughout history, and this movie examines what would have happened if they’d shown up during the middle ages. Check it out! Thanks for the heads up Chris, I love both of those things. My pleasure! I’m blown away by how good this movie was. Very impressive for a fan film!